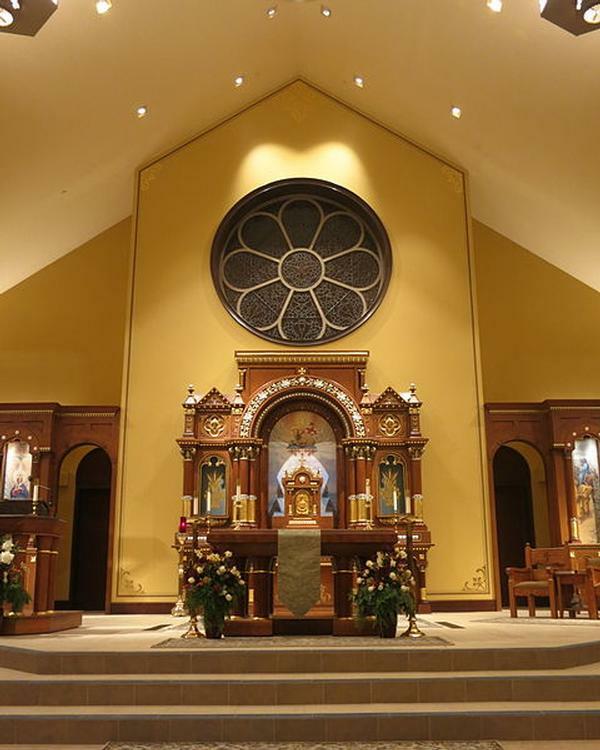 St. John Neumann Catholic Church will dedicate a new 17,559 SF church expansion during Mass beginning at 7 p.m. on December 18th at 9633 East State Route 37 in Sunbury. Bishop of Columbus Frederick Campbell will be presiding, assisted by Father David Sizemore, Pastor. Many priests and deacons from around the diocese will be attending, as well as seminarians from the Josephinum. 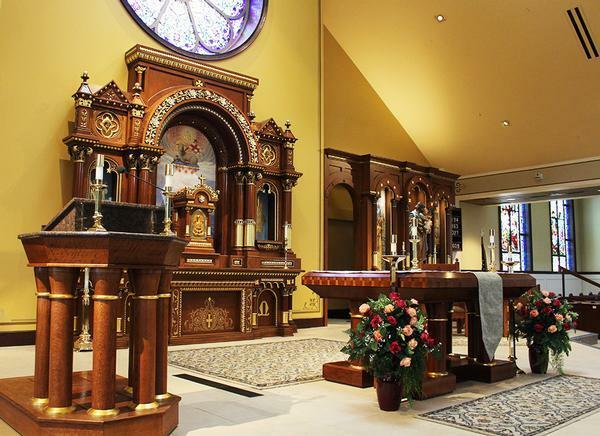 Plans for the expanded church were developed just over a year ago by M&A Architects of Columbus. Elford, Inc. of Columbus serves as the contractor. Conrad Schmitt Studios from Wisconsin prepared the concept of the liturgical space and implemented the design of beautiful murals and artistic painting and stenciling. 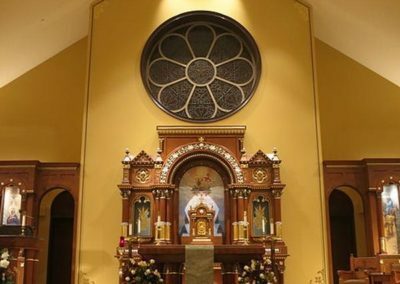 Henninger’s in Cleveland created stained glass to match traditional style windows from a closed parish in Lorain, Ohio. Father Sizemore shares, “We feel blessed to have this great team who is working around the clock so that we can celebrate Christmas in our newly expanded church, which now has such beauty in which to glorify God and additional space to welcome and evangelize more souls.” Parish volunteers and staff have been preparing for months for not only the Dedication Mass, but also for Christmas Eve Masses at 4p.m., 6;30p.m. and Midnight and Christmas Day at 12 noon. Transepts have been added to the structure originally built in 2004 and will now seat over 1,100 to accommodate the growing parish. The interior of the church has been transformed to depict the beauty of our faith. 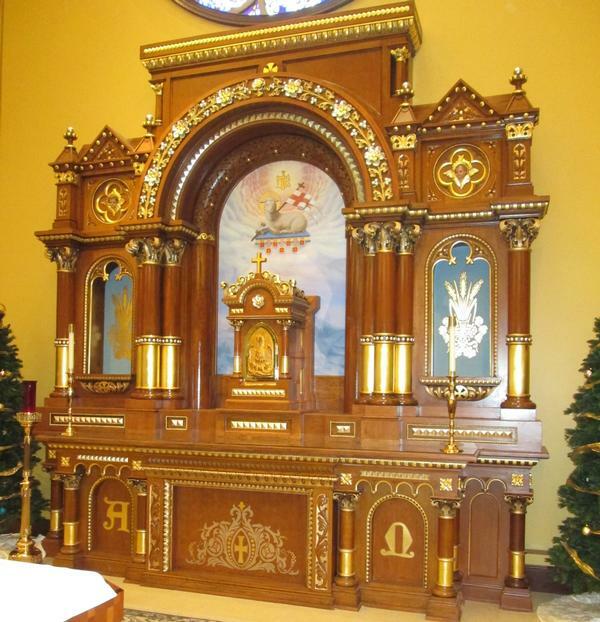 The focal point is our Lord in the tabernacle on an ornate carved wood altar of repose, obtained from Father Kevin Lutz at the Holy Family Museum in Columbus. Beautiful stained glass windows, murals, stations and statues feature the lives of Jesus, Mary, Joseph, and the saints. 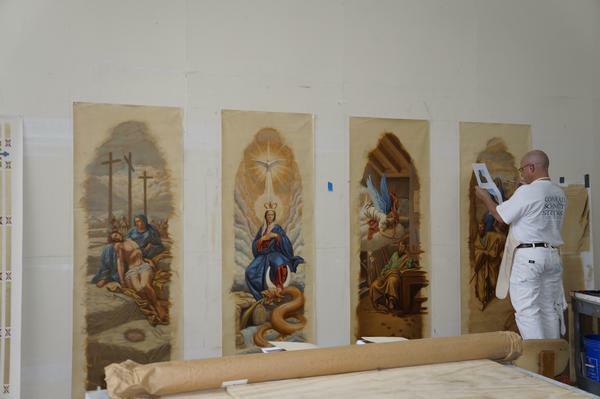 St. John Neumann parish visitors will be able to learn the story of Christianity through biblical pictures and symbols throughout the fully renovated church. An immersion baptismal font has been added and awaits our largest RCIA class preparing for the Easter Vigil. A Cloister Walkway now connects the Church, Eucharistic Adoration Chapel, Faith & Family Center and Parish Office buildings. Also part of the church expansion project is a new Eucharistic Adoration Chapel. 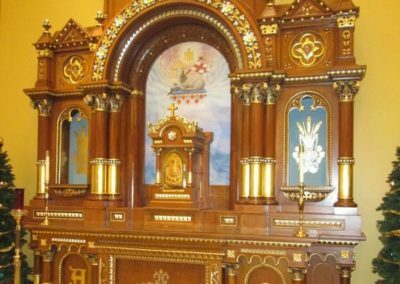 Adoration in the chapel is from Sunday at noon through Tuesday midnight beginning December 1st with the goal of growing Adoration throughout each week. The chapel will be blessed as part of the December 18th celebration.